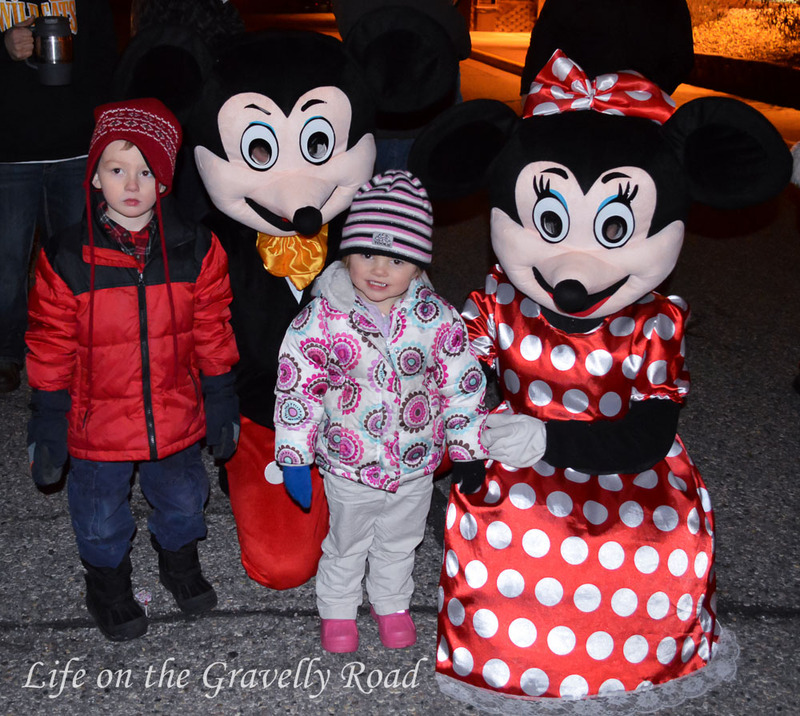 While the snow is long gone, we've been having plenty of Christmas-y fun here on the gravelly road. Visiting our favorite local lights display. 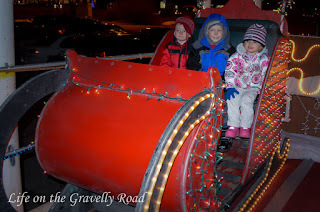 Seeing Santa and his crew when the Santa Semi came to town. 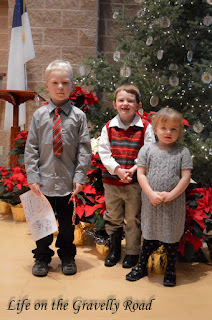 The kids' sang in the church Christmas program. Plus goodie baking, Christmas decorating and gift making. Its a busy month for our family on the gravelly road. In order to try to intentionally slow down and keep our focus in the right place, we are trying a few different things for Advent. Our big Advent calendar did not make it out this year, but instead we are using a single Advent candle our church gave us that we marked with lines for each day of the month. Each evening we let it burn until it reaches the next line and read a short scripture together. We are also using Star from Afar, wooden nativity set and book where you hide the star each day with a scripture verse, then help the wisemen (and you) follow the star all the way to Christmas. Its been a fun new tradition. Hoping you are enjoying some intentional family time and remembering the reason for the season.